Por La Mar is a luxurious community located in gorgeous Boca Raton, Florida. Por La Mar features a secure and private atmosphere with absolutely breathtaking views of the intra-coastal waterways and lush picturesque gardens and landscaping. Everything is right within reach at Por La Mar including gourmet restaurants, great shopping, outdoor recreations, local shows and entertainments, theatres, Mizner Park, Boca Town Center, and more just minutes away. 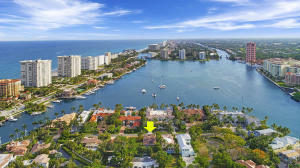 Por La Mar real estate is phenomenal featuring impeccable single family and estate homes with a wide array of upgrades from wonderful architectural detailing, private boating dockage, custom kitchens, private pools, and remarkable intra-coastal views. Live in paradise in Por La Mar with magnificent community, outstanding nearby attractions, and choice real estate. If you are interested in homes in Por La Mar or in the Boca Raton area, contact Distinct Estates. There are a lot of great homes in Por La Mar. You can view the properties below by clicking on the full listing or the picture. call (561) 201-5092 or email us. 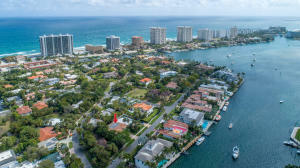 Por La Mar is a great community here in Boca Raton, but you can use our Boca Raton homes for sale site if you would like to see more homes here in Jupiter.